Travel Registry is a honeymoon AND holiday registry service. That means we can build a travel registry for you - then your friends and family can contribute to your Philippines travel instead of buying gifts for your birthday, wedding, engagement or any other event you can think of! It's really easy to set up. Below are some ideas of activities in Philippines. 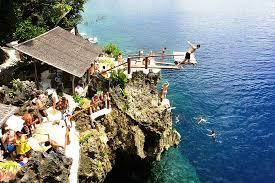 Ariel's Point - Boat cruise, BBQ lunch, drinks, cliff diving & snorkelling rolled into one! Kite-surfing course - Boracay supposedly has the best kite-surfing in Asia! We'll sign up for a three-day beginner course. 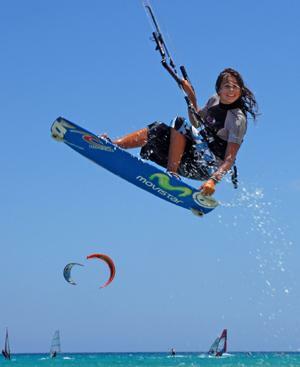 Hopefully before long we'll be racing along the waves, jumping and pulling off tricks! Snorkelling in Boracay - Snorkelling for two around islands near Boracay. Sunset sailing cruise - Boracay has the most phenomenal sunsets, a photographers dream! 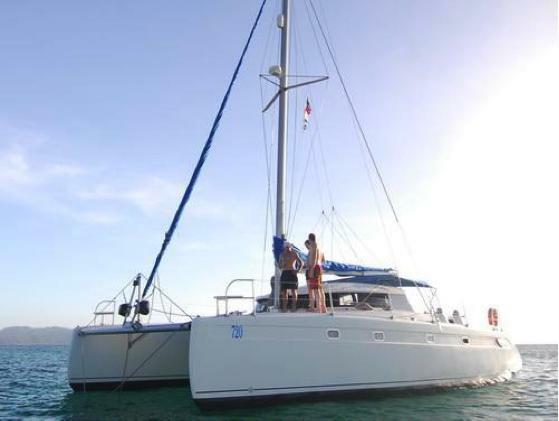 A 42 foot catamaran for two hours with wine, beer and canapés on a bay calm as a glass mirror? !